Controllers are an easy way for beginners and bedroom DJs to practice their chops. 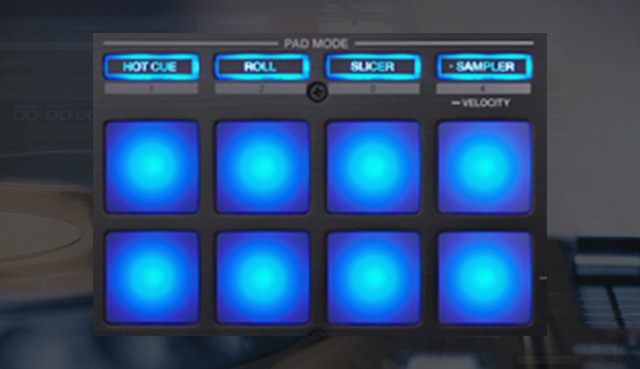 Even as a DJ’s skill-sets advance, controllers won’t always be at the ready for a gig. Many clubs will insist DJs for the night share a pair of CDJs. Often, touring DJs prefer them over controllers because of the consistency and simplicity in terms of logistics. Plug in the USB and go! Unfortunately, not everyone can get their hands on a pair of CDJs before their first gig using them. A CDJ setup is easily a couple grand. Based on sales reports, drastically more DJs own a Pioneer DDJ controller. These controllers borrow key design features from their professional siblings and, if you know what to look for, a DJ can use them to practice for CDJs. Read on to learn how to get used to CDJs with a DDJ-RX, DDJ-SX2, and others like them. Adapted with permission from an original Imgur-based tutorial written by DJ Defractaled on Reddit. 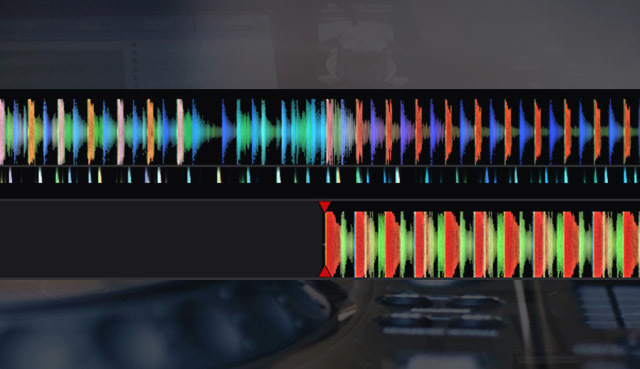 In Serato or Rekordbox DJ, each deck’s waveform are aligned with one another. 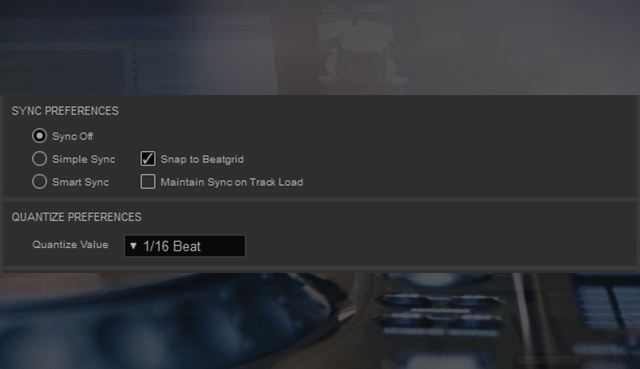 For controller mixing, this makes it easier to line up two beats. But this luxury isn’t present in a CDJ setup. To get used to CDJ mixing, avoid pre-aligning tracks. 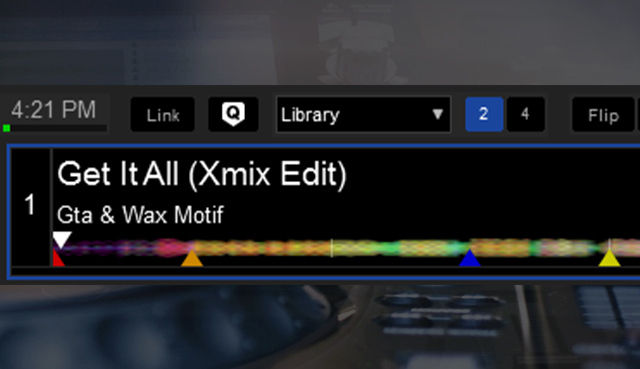 DJs using parallel, larger waveforms will probably be used to pre-aligning the physical appearance of a track. Instead of pre-aligning waveforms, use the orange CUE button to perform cue starts on the beat. This will prepare DJs a lot more for the first time playing on CDJs. The closest view a DJ can get to a CDJ is to set the view to Library. This view gives fewer details than the waveform overview, like a non-Nexus series CDJ (CDJ-2000 and earlier). This will also remove any tempo-matching or beat-matching assistants. Unless there is access to a device such as the DDJ-SP1 or the venue uses Denon SC5000s, DJs will not have access to the pads found in most controllers. On most CDJs, DJs will be limited to 3 hot cues. It is imperative to learn how to work without access to 8 hot cues. You can also avoid using the roll pads – but many Pioneer mixers have a similar function, albeit with a different set of controls, in the Beat FX section. Also, avoid relying on Sampler and Slicer performance modes – nothing like those on CDJs yet. Almost all effect types found in the basic Rekordbox and Serato DJ stock FX (not expansion packs) can be emulated on newer Pioneer DJ mixers. That being said, you’ll be limited in the range of effects available. Effects such as echo, delay, and distortion effects are standard – but more complex effects (particularly combo effects), are not available. DJs should practice doing transitions without these types of effects. Auto gain should be disabled while practicing for CDJs. Instead, practice adjusting unbalanced tracks using the trim and channel faders accordingly.This will ensure that if when playing on a set of CDJs, a balanced master output level can be maintained throughout the set. When you play on a CDJ setup, keep an eye on the VU meters on the channels to see what levels you’re really outputting. Ensure that the decks’ BPM display is set to only 1 decimal place. Some CDJ setups might not show any decimal place or only 1 decimal place for the BPM figure. DJs who rely on the printed display for beat matching are to make sure to get used to a bit of inaccuracy. This gives you a good opportunity to practice pushing the outside of your jogwheels a bit more when two tracks’ BPM isn’t perfectly aligned – a wonderful skill to dig into if you you’re still learning manual beatmatching. Ensure that sync is disabled. DJs need to learn how to beat match and get used to adjusting the pitch manually on a CDJ setup. 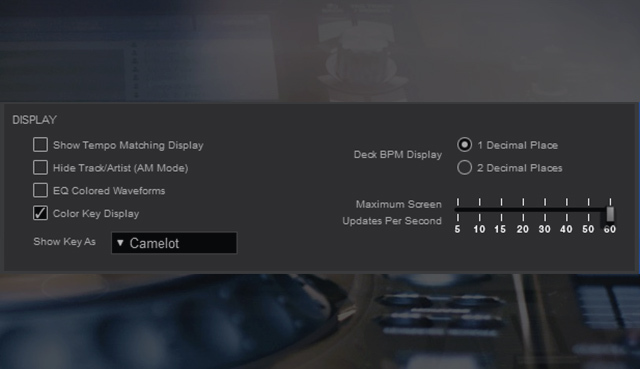 Some CDJ setups with have this feature, in which case, feel free to make use of it. However, not all venues will be using the latest Nexus gear. Next, set the Quantize value to 1/16 Beat – or disable it! Not all features on a CDJ (such as the loop cutter) will be quantized on older units. Instead, practice getting beats as close as possible on the first press. 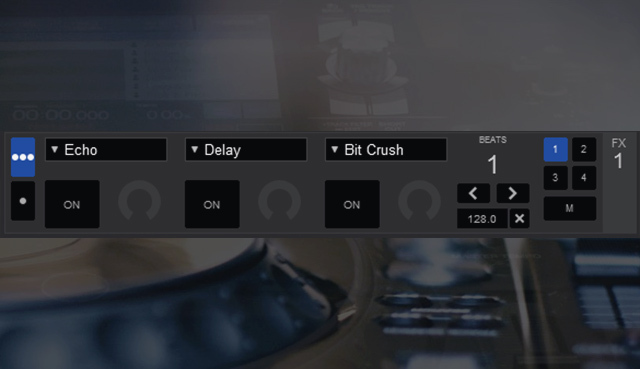 Slip Mode – Don’t get used to slip mode… this won’t be available on a lot of CDJs. Vinyl vs CDJ Mode – Learn how these two modes differ on a CDJs. They have a big impact on the way that the jogwheel and needle search bar function. Most DJs will want to use Vinyl mode unless they’re used to older models of CDJ. See the Gear in Action – Watch videos of people using CDJs and tutorials on them. Read the manual for the CDJ to get help straight from the source – it might be dry, but you’ll learn a lot. Christian Jackson has an excellent tutorial series on YouTube. 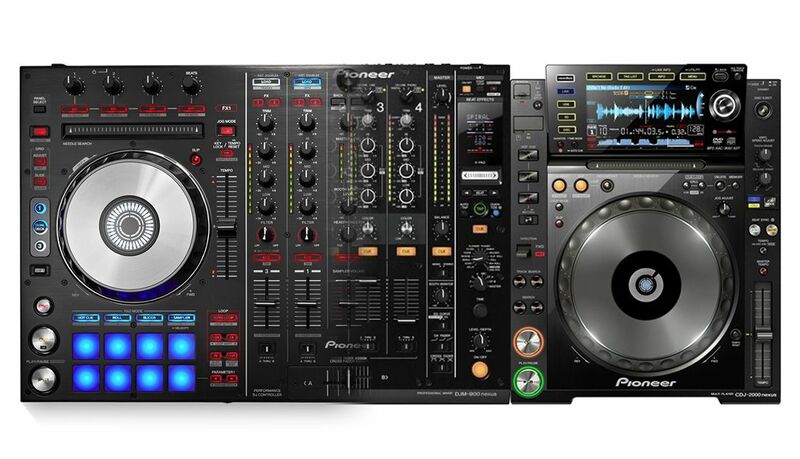 Learn the Differences – CDJs have evolved a lot over the years, and the CDJs in each club will not always be the same model. Instead, plan on having access to a minimal number of features and make use of the more advanced features when available. Venue Equipment – Not every venue keeps their CDJs and mixers in the best condition. Sometimes, the equipment might get broken by the previous DJ. It is best to be flexible in some cases with some features that could be missing. A common example might be a channel on the mixer being broken so instead of mixing between channel 1 & 2, mix between channel 1 & 3 (this could also be the case depending on their specific configuration). Another feature that is occasionally broken (or missing if not connected) is the LINK functionality, so always bring a second copy of your USB drive just in case. Prepare Your Tracks – Make sure all the tracks have been fully prepared and hot cue’d in Rekordbox and exported to a USB before each set. The importance of preparation cannot be stressed enough. It is also highly suggested to make sure to have done this properly before playing on a CDJ setup. CDJs are arguably the most used pieces of equipment in clubs around the world. Learning them when coming from a controller is vital to ensuring success with those first gigs. Hopefully, this tutorial helps DJs make use of their current DDJ controllers to prepare for getting behind a Pioneer setup. Author’s note: this article was adapted with permission from an Imgur-based tutorial by djdefractaled on Reddit’s /r/DJs. Do you have advice for preparing for your first CDJ gig? Let us know in the comments below so others can learn from you too! Digital Crates: What are the best Flash Drives for DJs?